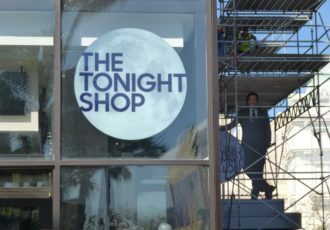 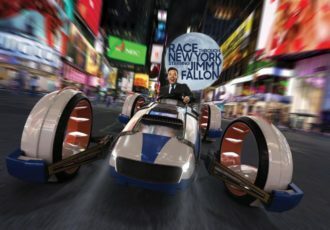 After entering the Studio 6B Lobby, you’ll board the world’s first-ever flying theater, which seats up to 72 audience members, for a rousing race alongside Jimmy Fallon through the greatest city in the world, New York. 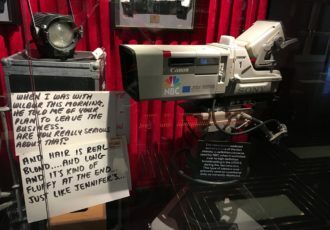 From 30 Rock out into the streets (and the skies!) 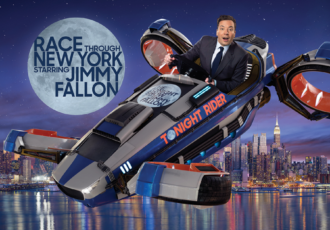 of The Big Apple, you and your fellow studio audience members will zoom past iconic New York City landmarks in an action-packed race with plenty of twists and turns along the way. 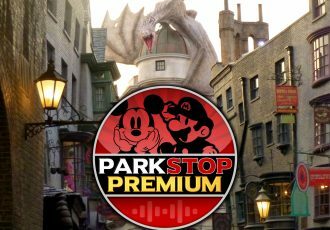 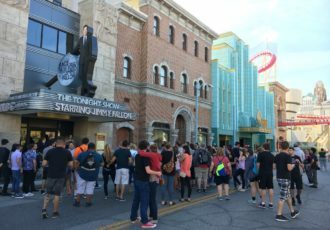 About the Ride: The ride system for this 3D attraction is a flying theater system similar to Europe In The Air at Busch Gardens Williamsburg. 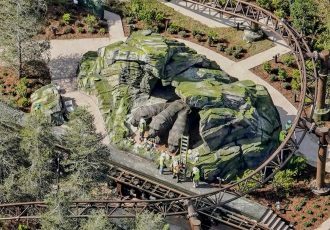 It’s a Soarin type ride where all the seats move together, with a motion base below, rather than suspended from above. 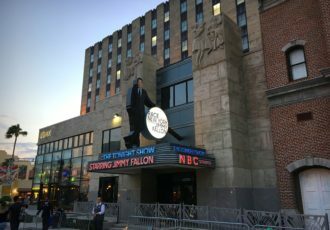 The walls have come down in front of the entrance to Race Through New York Starring Jimmy Fallon. 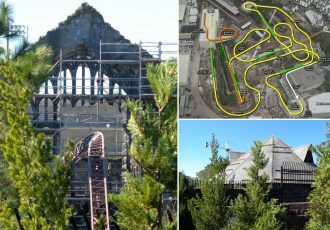 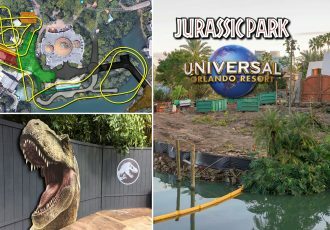 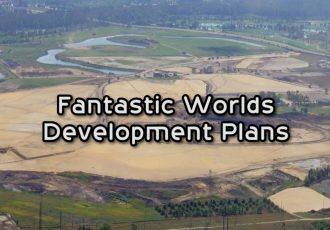 Construction update for Universal Studios Florida featuring Race Through New York, Fast & Furious Supercharged, and Virtual Line testing. 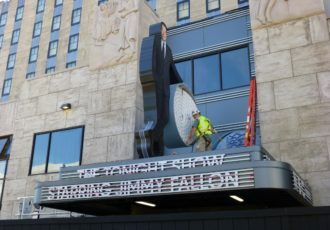 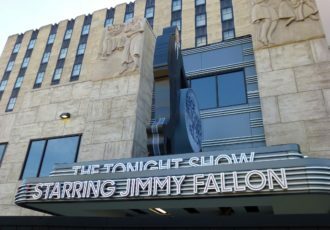 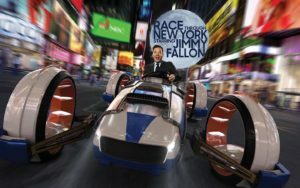 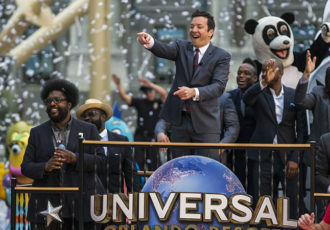 Race Through New York Starring Jimmy Fallon, will be opening April 6th at Universal Studios Florida!